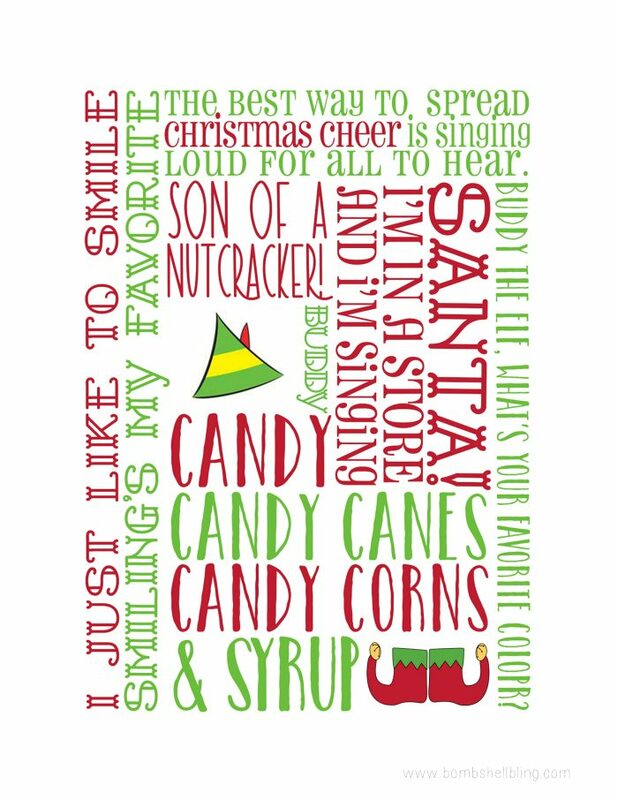 Today’s ELF printable cards and decor from Kristin Murphy at The Simple Perks are THE CUTEST EVER!!!! I love, love, LOVE the movie ELF! Anyone else?! It’s just so dang hilarious. I loved Kristin’s design so much that I even requested that she turn it into an 8×10 printable for home decor AND a printable card. It’s just TOO CUTE! DOWNLOAD THE WATERMARK FREE VERSION OF THE ELF PRINTABLE HERE. It will download with two to a page, as shown below. 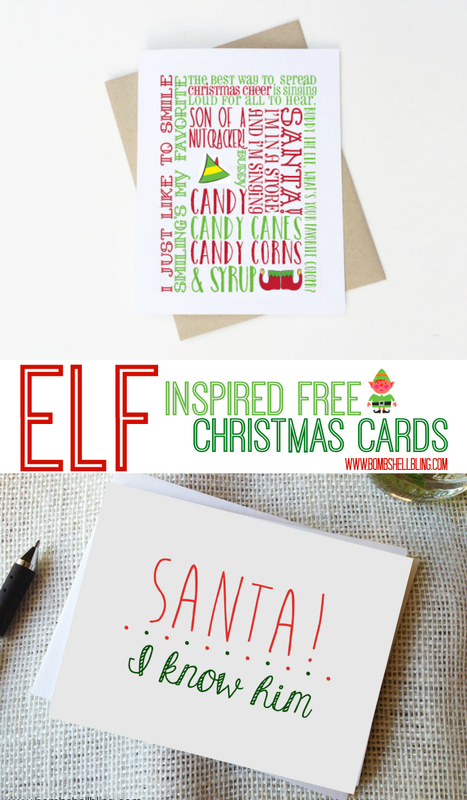 DOWNLOAD THE FREE ELF PRINTABLE CARDS HERE. 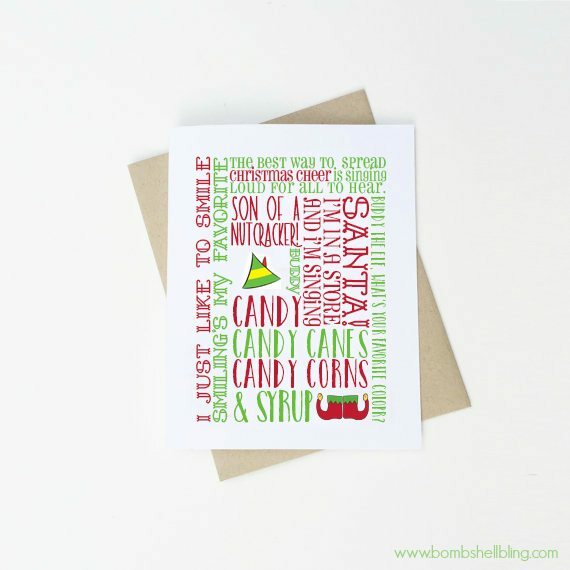 A few of you may remember that last year Kristin created an Elf themed card for me as well! FIND THE “SANTA! I KNOW HIM!” PRINTABLE CARD HERE. Fun, fun fun! Who else loves ELF?! I love the Santa! I know him card. I need to go buy some cardstock so I can print. 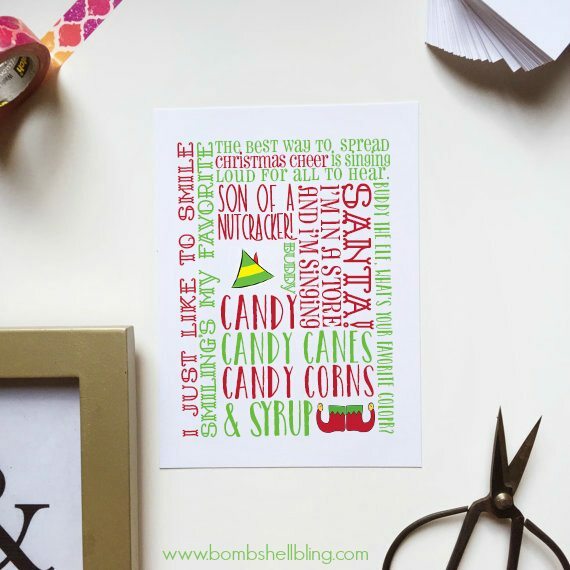 I’m always a sucker for cute printables and those are adorable! Thanks for sharing them!